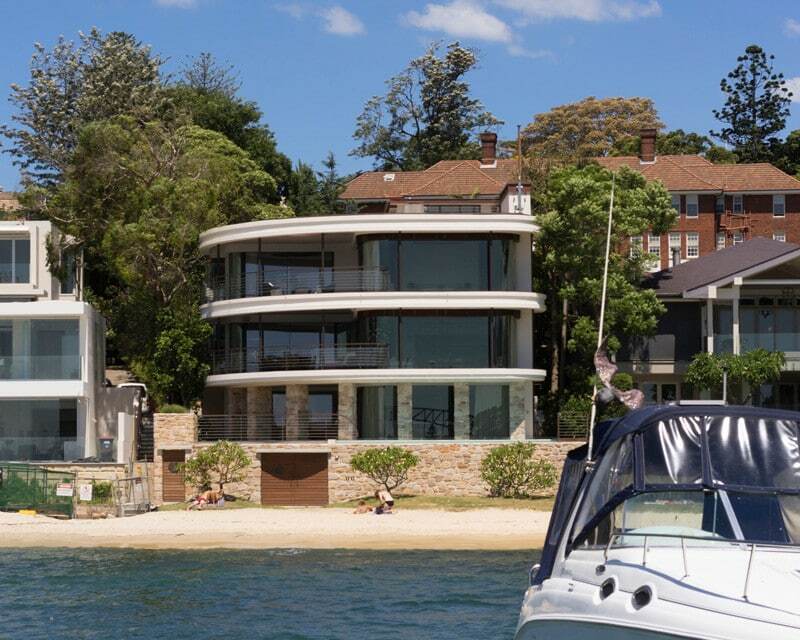 This adaptive reuse of a waterfront residence is evidence that not all Sydney Harbour houses have no books or art on their walls, as Melbournians sometimes suggest, because of the magnificent views. 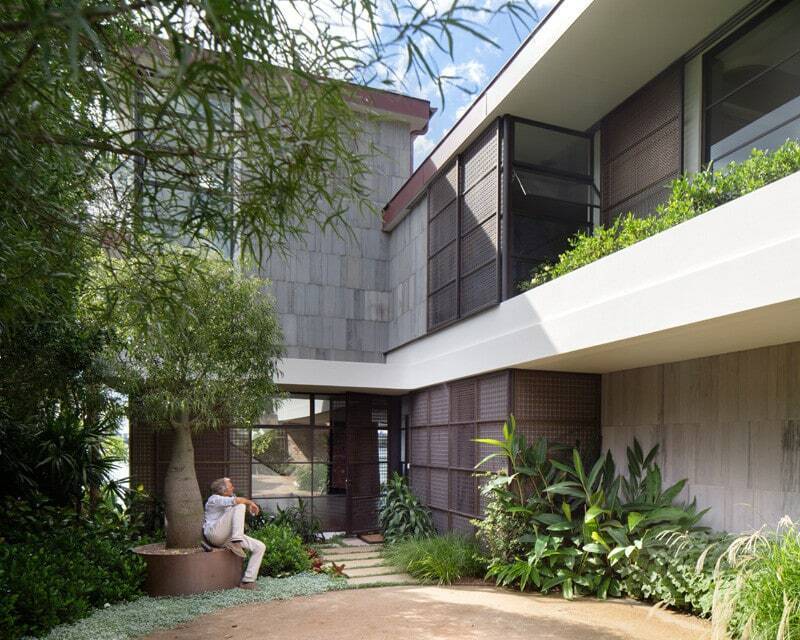 More images and details are can be found in Residential. 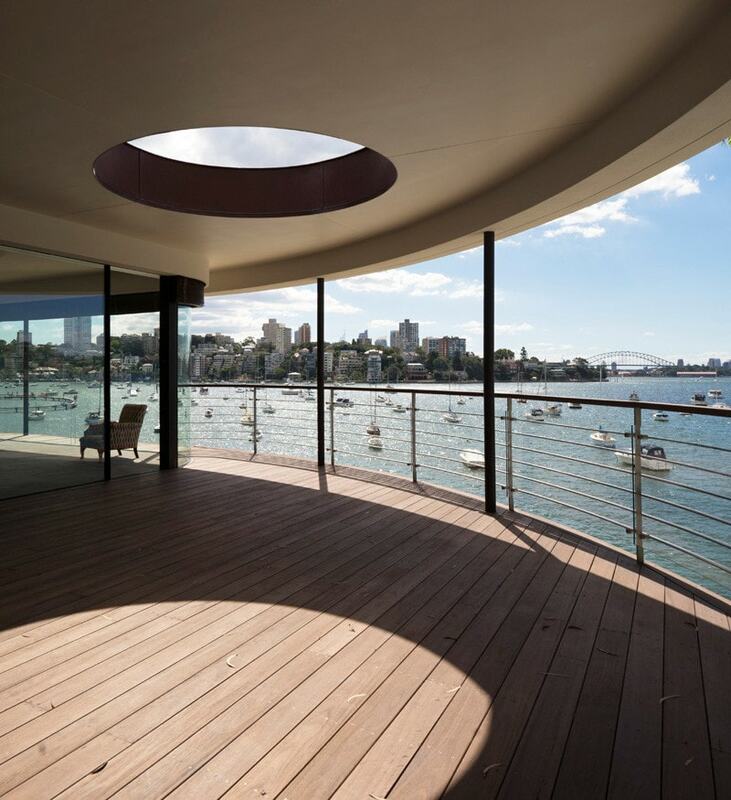 Following the curves on a 1930s Art Deco residence, the refurbishment removed brick walls and heavy window frames, replacing them with frameless glass and fine steel columns. Once a barren parking area, the entry courtyard is now a densely landscaped garden with bottle trees and garden gnomes. 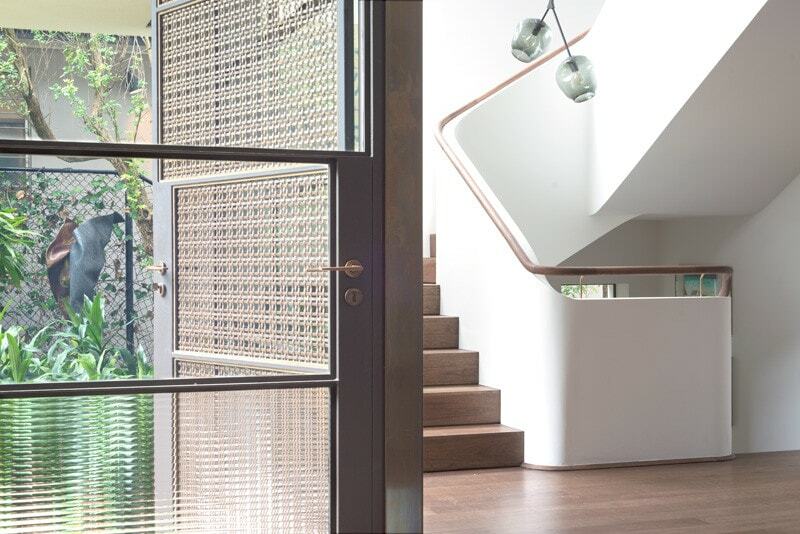 The entrance hall is bathed in light from the stairwell both day and night. 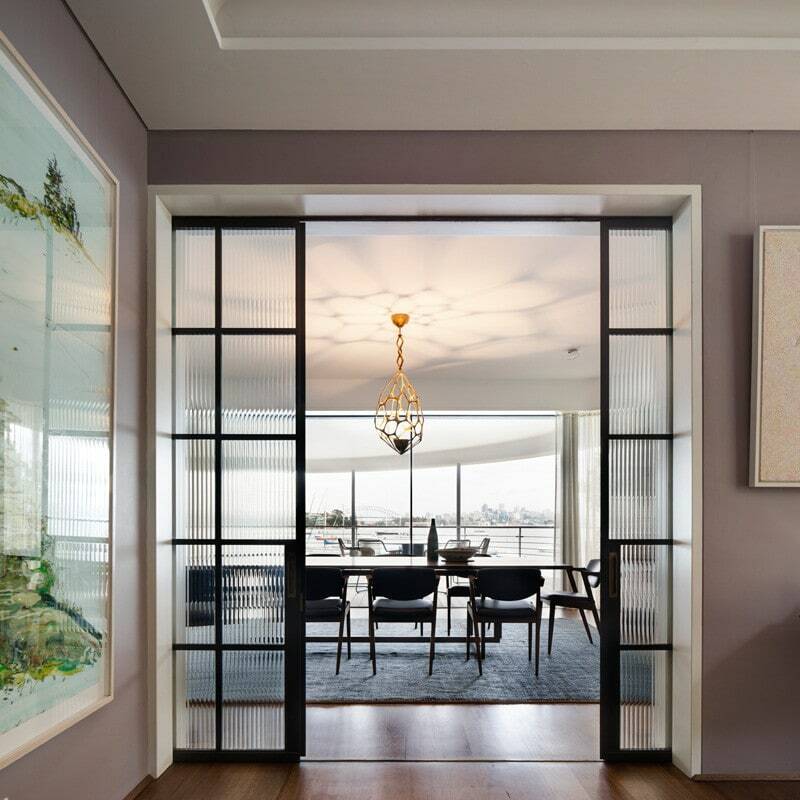 Brazilian ribbed glass in steel framed doors frame the jewellery inspired Herve van der Straeten lustre.